A fusion Gown that invokes a fairytale feeling, has become quite the rage this Wedding season! And why not? It is fusion fashion friendly. Has an ethnic vibe that will make you stand out amongst the crowd of Saree or Lehenga clad fashionistas. And it provides not just a chic get up, but also utter comfort! So, this Wedding Season give your Sarees and Lehengas the backseat. 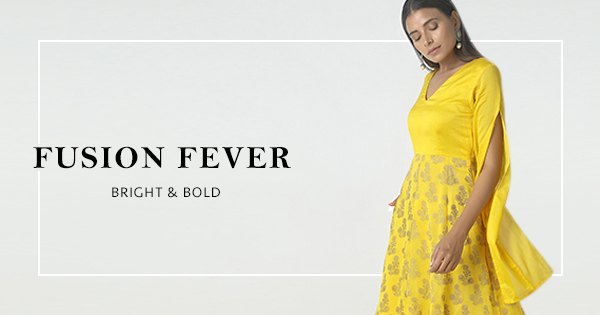 Let the glory of a beautiful Gown take over this season of breezy styles! The most beautiful of them all is this not-so-mellow yellow wonder. 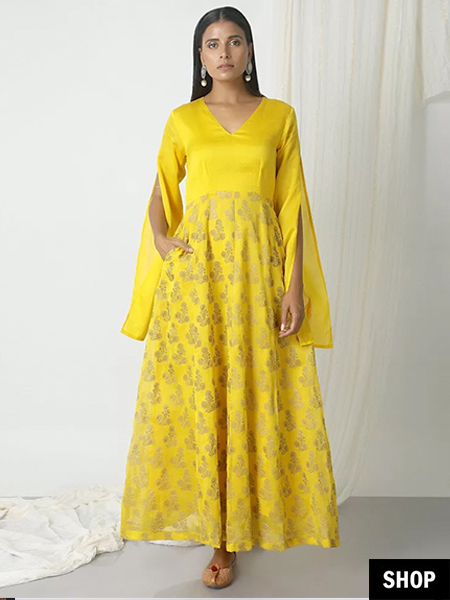 Made of Chanderi charm and floral dreams, what makes this one stand out is the full length, split sleeves. In The Pink Of Style! The beauty of this outfit lies in its colour. The effervescent Pinkhas has gotten a chic makeover, complete with full-length panels. 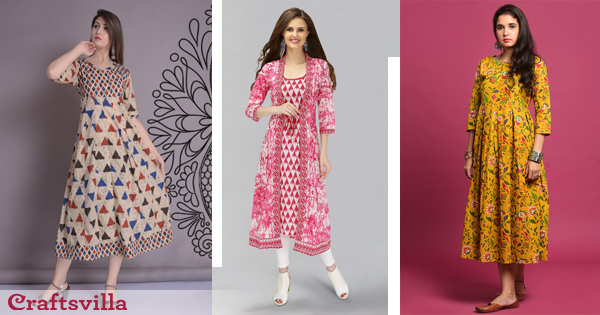 Team it with a gorgeous Dupatta and Danglers for that dash of dazzle! If you have the flair for flare, this stripe in the right places outfit is the perfect fit for you! Hand-crafted work paves the way for excellence and its demure look for opulent accessorizing. There is no comparison to the pristine qualities of colour, White. Revel in this one’s floral finery and fabulous bell sleeves. Choose to wear stunning pearlescent jewelry to adorn this outfit and maximize its allure! Doesn’t it look like the shade of this outfit is derived straight from the lap of Nature? Complete with contrasting black panels and slits, this one can be teamed up with palazzos for a chic ethnic look. The perfect combination of grace and style, this black beauty will ensure you are the centre of attraction at any function you attend! Sheer skirt. Embellished thread work. And a demure Dupatta! 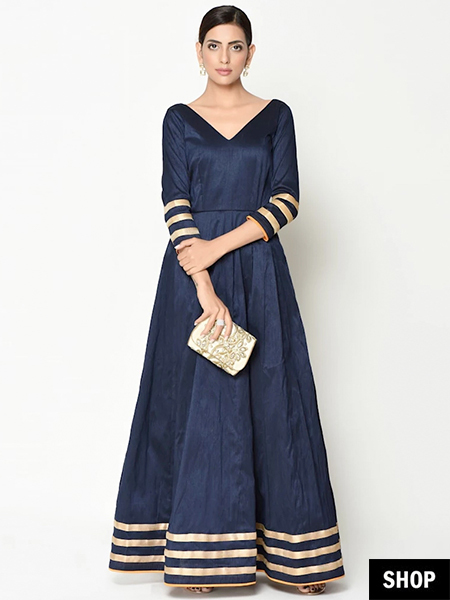 This outfit has all the qualities that make the picture perfect wedding guest outfit. Tie your hair up in a bun and sport a stunning pair of Danglers to compliment it well. no doubt you are a good writer. thanks, and please keep us update.